The old woman pondered Hakuin’s words day and night, waking and sleeping. One day, as she was washing a pot after breakfast, a great light flashed through her mind. She dropped the pot and ran to tell Hakuin. “Amida Buddha filled my whole body. Mountains, rivers, forests, and fields are all shining with light. How wonderful!” She danced for joy. Small as she was, she gave him a big push, saying, “I can see you’re not enlightened yet!” They both burst out laughing. The unnamed old woman is a prototype often cast as someone initially dismissed, but whose cutting wisdom takes male protagonists by surprise. There are many stories from China and Japan in which monks’ puffed-up views of their own attainment are skillfully skewered by such a figure. 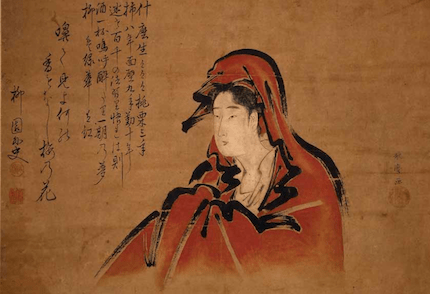 The old woman in this koan may have been a follower of Pure Land Buddhism, which developed in fifth-century China and took root in Japan in the twelfth and thirteenth centuries. She would have been taught that by living a meritorious life and by continuously praying to Amida, the Buddha of Infinite Light, she would be reborn in the Pure Land, leaving the suffering of this life behind and entering Amida Buddha’s radiant realm in the Western Land. Hakuin was a ferocious and daunting teacher when dealing with his ordained trainees, but he cared deeply for the peasants who lived in and around Hara, where his temple was located beneath the looming presence of Mount Fuji. With compassion and humor, he was able to make Buddhist teachings keenly relevant to these villagers, whose heavily taxed lives were filled with hardship and privation, sickness, and early death. How shocking it must have been to the old woman to hear Hakuin’s words, “Your mind is the Pure Land and your body is Amida Buddha.” How could it be that her own mind, filled with all its delusory thoughts, was the Pure Land? How could her wrinkled, decaying body be Amida Buddha? Still, Hakuin had said, “Look into your own heart,” and with the trusting nature developed by her faith in Amida Buddha, that is what she did. How do we awaken? Only by looking into our own hearts and probing ever more deeply can we realize what the Buddha taught: “Attha dipa: You are the light.” Unfortunately, that essential trusting nature is often overridden by our sophisticated and skeptical worldview. And beset by the fracturing, multitasking circumstances of our twenty-first-century lives, how many of us can steep ourselves in our Zen practice “day and night, waking and sleeping”? Yet if we are true students of the Way, this is what we must do—take up the koan, or the current challenge presented by our lives, and bravely plunge into it. As is frequently the case with a profound breakthrough, it was while the old woman was simply doing her daily tasks that she experienced the actuality of what until then seemed but a promise. 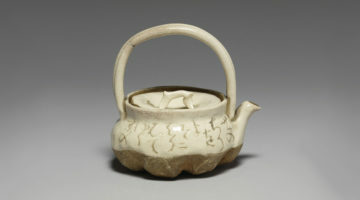 We must take note, however: she was just washing a pot, but she was completely absorbed in Hakuin’s statement. Filled with the joy of her enlightenment, feeling the endless dimensions of that light within and without, she ran to Hakuin, who immediately tested her, with words crass enough to shake a realization that wasn’t genuine. 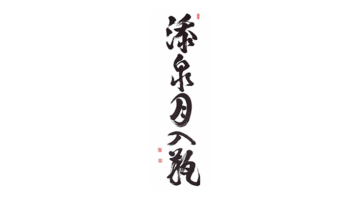 No longer a timid mouse, the old woman responded like a dragon, with the confidence that comes with genuine insight, challenging Hakuin, revealing the sameness of their awakened mind within the differentiation of male/female, renowned teacher/status-less student. Instantaneously they burst into great laughter, mirroring each other in joyful recognition. This piece was originally published in the Spring 2014 issue of Buddhadharma as part of a collection of excerpts from the “Hidden Lamp,” in which three contemporary woman teachers looked at centuries-old stories of women and awakening. Shinge Roko Sherry Chayat is the Abbot of the Zen Studies Society.